WELL Building Institute launches pilot programs for new sectors. Buildings should be developed with people’s health and wellness at the centre of design. In a recent Press Release IWBI (International Well Building Institute) is calling for organisations to participate in its next stage of development and to pilot the Well Building Standard. Invites are called for from the retail, multifamily residential, education, restaurant and commercial kitchen sectors. For information or to download the pilot standards, visit www.wellcertified.com/well. Once a project has officially applied to the pilot program through WELL Online, IWBI will contact the project team to arrange an initial evaluation of the project to ensure that it fits the specifications, and provide assistance throughout the pilot certification process. More: The WELL pilot programs will allow participants to be the first to engage at the cutting edge of the sustainability and healthy building movement. IWBI will collect information from participants and industry experts to further refine the standards prior to publication. Upon completion of the pilot program, each standard will move out of the pilot phase and become integrated into the core features of WELL. WELL is grounded in a body of medical research that explores the connection between the buildings where we spend more than 90 percent of our time, and the health and wellness impacts on us as occupants. Retail: Retail applies to locations where consumers can view and purchase merchandise onsite, and where staff are employed to assist in the sale of products. The Retail pilot standard is applicable to owner- and tenant-occupied projects, and to those in both stand-alone buildings and those integrated into larger structures. Multifamily Residential: Multifamily Residential applies specifically to projects with at least five dwelling units in a single building with common structural elements. Projects that qualify include apartments, condominiums, townhouses, and other residential complexes within all market thresholds – affordable housing, market-rate and luxury. Education: Educational Facilities applies to projects where dedicated staff is employed for instructional purposes, and students may be of any age. Courses may cover any range of topics, and facilities may be typified by fully scheduled days or distinct classes in which students enroll at will. Restaurant: Restaurants applies to locations where a consumer can purchase food and dine onsite, including indoor or outdoor seating. The establishment may be either self-serve or include wait staff that tend to consumers. The Restaurant pilot standard does not include take-out only establishments or establishments whose primary source of revenue derives from the sale of alcoholic beverages. Further, the Restaurant pilot standard only applies to dining spaces—it does not cover kitchens in which food is prepared. Commercial Kitchen: Commercial Kitchens applies to locations where cooks prepare food for other building users. It is not applicable to office kitchenettes or home kitchens. In general, spaces subject to local health inspection are likely to use this Pilot Addendum. Commercial Kitchen is always paired with another standard, such as Restaurant or Education. All pilot programs were developed as an adaptation of WELL v1.0. Using v1.0 as a baseline, relevant features from v1.0 were incorporated into each pilot, while features that only apply to commercial and institutional spaces were removed. Certain features were also adapted, so that their intent remains the same but the details are different. Prior to being finalized, all pilots will complete a thorough and transparent peer review process with scientific, practitioner and medical experts. During this process, expert feedback from leading researchers and industry practitioners will help refine each pilot for its final release. Pilot projects are eligible to achieve Silver, Gold or Platinum level pilot certification, following the same method as WELL v1.0. Through IWBI’s collaboration with the Green Business Certification Inc. (GBCI), projects receive third-party certification by GBCI. About the International WELL Building Institute™ The International WELL Building Institute™ (IWBI) is a public benefit corporation (B-Corp) whose mission is to improve human health and wellbeing through the built environment. B-Corps like IWBI are an emerging U.S. structure for corporations committed to balancing public benefits with profitability – harnessing the power of private capital for greater good. 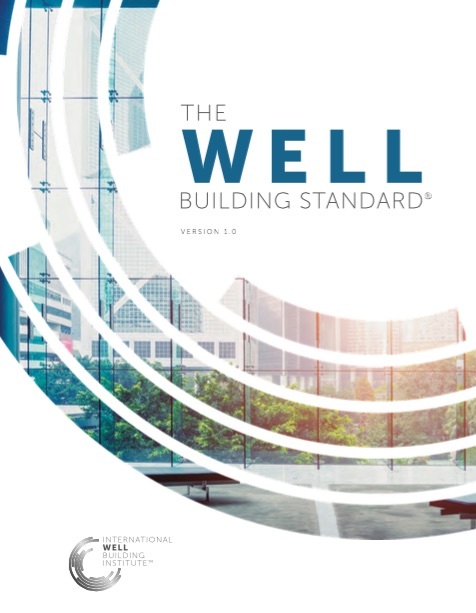 IWBI administers the WELL Building Standard® (WELL) – a performance-based system for measuring, certifying, and monitoring features of buildings that impact the health and wellbeing of the people who live, work, and learn in them. Fulfilling the vision of IWBI Founder Paul Scialla, IWBI has a pioneering altruistic capitalism model that will address social responsibility and demonstrate a sustainable model for philanthropy. About the WELL Building Standard® The WELL Building Standard® (WELL) is a performance-based system for measuring, certifying, and monitoring features of the built environment that impact the health and wellbeing of the people who live, work, and learn in the buildings. WELL focuses on seven categories of building performance: air, water, nourishment, light, fitness, comfort, and mind. Pioneered by Delos, the WELL Building Standard is grounded in evidence-based medical research that demonstrates the connection between the buildings where we spend more than 90 percent of our time and health and wellness impacts on us as occupants. This entry was posted in comment and tagged Green Vision, International Well Building Institute, IWBI, Living Building Challenge, well building standard on June 17, 2015 by martin brown.